Happy Friday, trainers, and happy 15th birthday to the monster-wrangling franchise we all love to play! This week we’re discussing an Ability that’s already been briefly touched on by the one and only Aaron “It’s Critical Hit” Spriggs in one of his early Move of the Week articles. Question: how do you make a 60 damage move a force to be reckoned with? Pay close attention, because this is Ability of the Week: Technician! 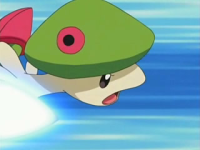 As the Move Maniac Mr. Spriggs himself so succinctly put it in his article With Technician and STAB, Breloom's Mach Punch does 80 damage and goes first every turn! on Brick Break, Technician “powers up all moves with power less than 60 by 1.5x”. As a point of clarification, Technician actually adds that 1.5 multiplier to any move that’s base damage is 60 or less. This offers up vast vistas of opportunity to you in selecting what attacks you bestow upon your pokémon, and a respectable amount of pokémon can have this Ability as of Generation 5. Nine monsters can have this Ability normally, and an additional five may possess it in the Dream World. Some great battlers are included in those 14, too, including Scyther and Scizor, Breloom, and Hitmontop. Technician is a great Ability to augment with items and buffs. For example, I personally utilize Technician on a Scyther on my B-Team in Pokémon HeartGold. With my Scyther, I’m attempting to create an attacking pokémon that can score critical hits frequently. Equipped with a Scope Lens, Scyther already has an elevated opportunity to score critical hits, then I increase those odds by two stages with Focus Energy on the first turn. (For a refresher on how critical hits are determined, see my article on Sniper.) Now, where Technician comes in: Scyther happens to be able to learn two attacks that complement his STABs perfectly. The first is Bug Bite, which deals 60 damage and has the added effect of stealing and immediately using any Berry the defending pokémon is carrying. The second is Aerial Ace, which also deals 60 damage and bypasses accuracy and evasion checks to always hit the opponent. As Technician multiplies the power of moves with 60 base damage by 1.5, that automatically raises both of these moves to 90 in the first place, and the Same Type Attack Bonus adds an additional 1.5 multiplier! For those without a calculator handy, that means that both Aerial Ace and Bug Bite dish out 120 damage every turn before weaknesses, resistances, or critical hits are even factored in. Of course, one of the coolest things about Technician is that many of the moves that it affects have secondary effects on the defending pokémon, something which many high-powered moves lack. I’ve already discussed Aerial Ace, which with Technician and STAB deals huge damage and never misses, there’s also moves like Fake Out, which always goes first and make the target flinch, allowing you to score a free hit at the beginning of a battle. With Techinician, this move does 60 damage, or 80 with STAB. Force Palm also receives a bonus from Technician, dishing out 120 damage if a STAB is also in play, and has a 30% chance of paralyzing the target. If you have a pokémon with this Ability, it’s a terrific one to take advantage of, so be sure to check out its learn set and TM pool! That does it for me this week, trainers! The next time we talk, Pokémon Black or White Versions will be in each of our grubby little paws, can you believe it! Be safe at your individual launch parties, and report back to Ability class next week! Later!